I didn’t do anything too special with the trout, just S&P. Turned heat on high, threw in a few slivers of garlic, and set the trout skin-side down to get a good sear. Cooked for roughly 4-5 minutes on each side. 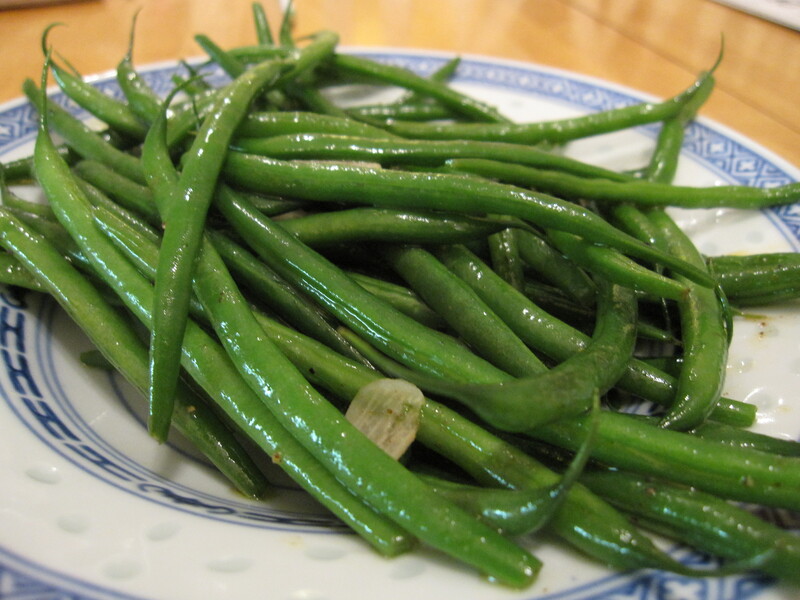 Seasoned with slivered almonds. 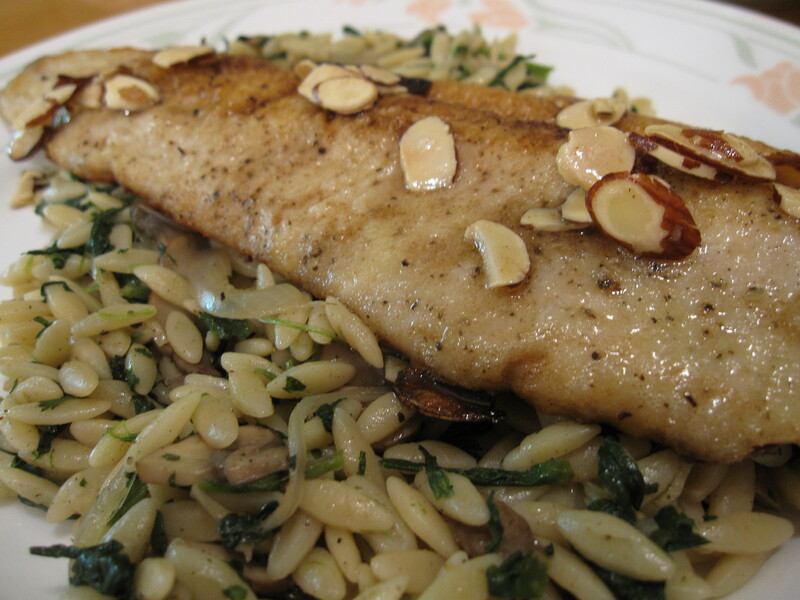 Served the trout with a makeshift rice pilaf, or should I say, orzo pilaf. Cooked orzo for 10 minutes, drained, and drizzled EVOO so it wouldn’t stick. Sauteed frozen spinach, mushrooms, shallots, garlic, S&P, and lots of nutmeg (i love nutmeg). Poured this mixture into the orzo and mixed. 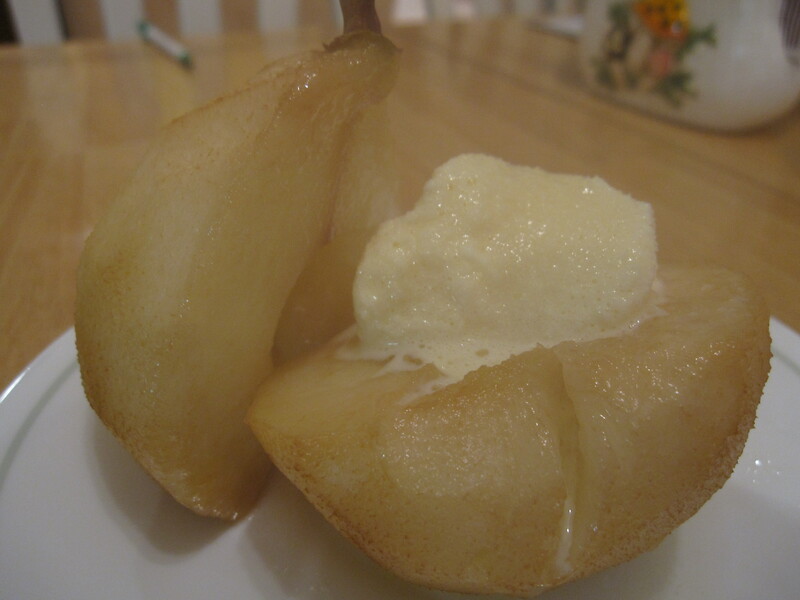 For dessert, we had baked pears and vanilla ice cream! Drizzle pears with honey and bake at 375 degrees for 10 minutes on each side. Did you cook the trout in oil or did you use butter? ah yes. i first seared it in oil, but then after it was half-seared, i put in a tablespoon of butter.